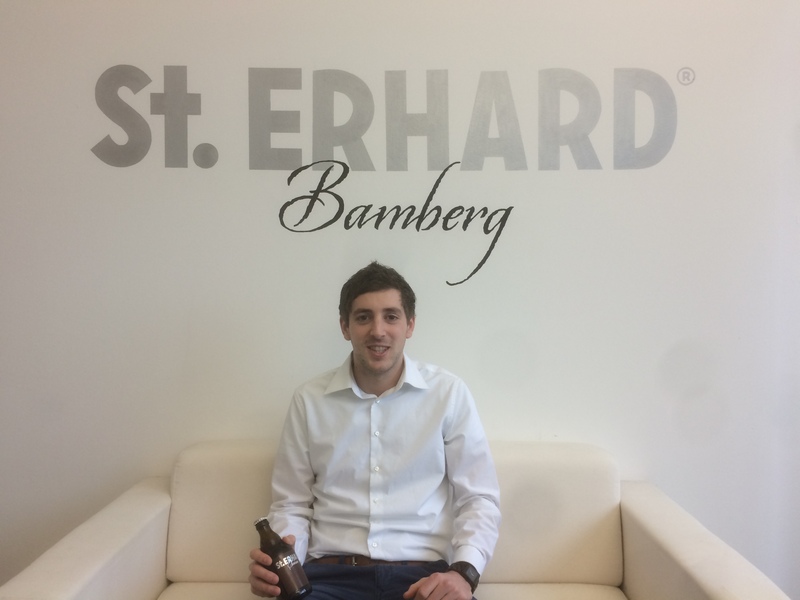 I am Stefan Kafara, the new Entrepreneurship Trainee here at St. ERHARD in Bamberg. Born in Munich in 1987 I grew up in Kreuzwertheim, a Franconian village between Würzburg and Frankfurt. The local brewery is operated by my grandfather, so I rose up with beer around me every single day. As a result of this strong connection to beer and beverages, in 2008 I decided to study Beverage Technology at the Hochschule Geisenheim University. After the Bachelor Degree I worked for two years in the Category Management for Beverages at Gourmondo.de and another year as a working student during my master’s program. To get the Master degree I studied Business Administration at the University of Ilmenau until December 2014. Of my work for gourmondo.de I knew St. ERHARD and applied for the job offer as an Entrepreunership Trainee last autumn. I start working today and for the next year I will support the company in distributing St. ERHARD beer as well as in the development of “Die Bierothek”.